This week Access All Areas members can download a brand new design resource courtesy of RetroSupply Co. This Standard Issue Grunge Textures pack contains 20 high resolution overlays captured from a rugged old grain warehouse in central Washington. They work great when placed over your designs in Photoshop with a Multiply or Linear Burn blending mode to apply the grungy tones to your artwork. You can even stack them to create unlimited texture combinations for unique vintage effects every time! RetroSupply’s mission is to bring the awesomeness of handmade goods to digital design. Their range of products make it easy for designers to add the craft and tradition of retro design to their work via textures, brushes and actions. Fancy a free sample of their goods? Join the RetroSupply mailing list and receive 9 best selling products free! This Spoon Graphics sampler of the Standard Issue Grunge Textures Pack for Access All Areas members contains 20 specially processed textures from the brand new pack from RetroSupply. 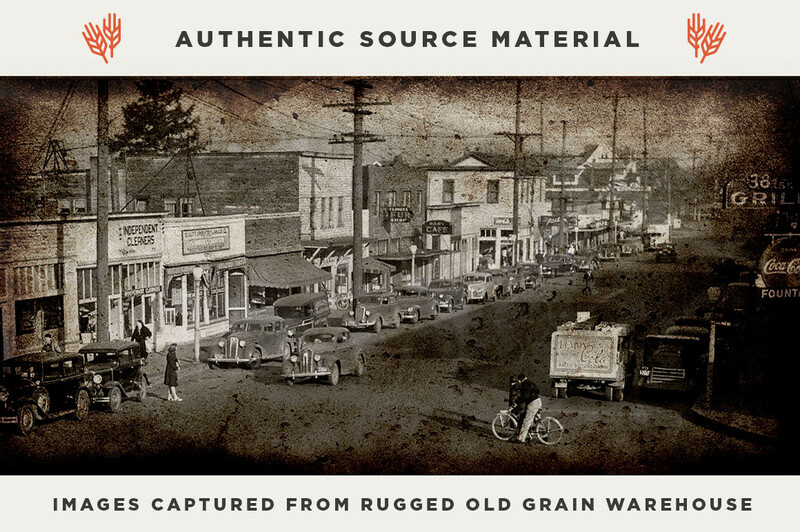 Each unique texture is 4500×3000 pixels and can be placed over your designs to produce natural worn vintage effects. These are perfect! I love Retro Supply! Thank you!